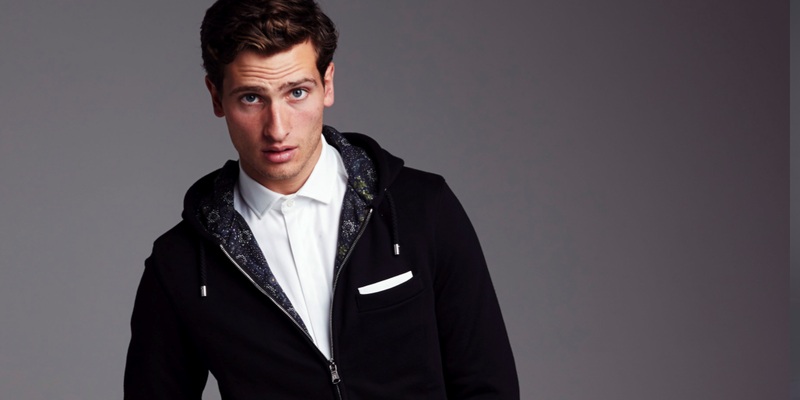 L’Estrange, the premium hoodie brand, has been going from strength to strength since its pop-up launch in Covent Garden in August which was a storming success. Whilst this event I attended seems an age ago, the label has been busy developing its next offering and it is coming by way of Liberty of London’s Art Fabrics. Many of you will know the history and esteem of the London department stores historic prints, and this collaboration is another exciting chapter for the luxury hoodie labels owners Tom and Will. It is entitled ‘New Years Eve’ and is going to be limited to just 100 pieces however, I just know this is going to fly from the shelves. The L’Estrange guys have tirelessly championed craft alongside excellence in fabrics and this is no exception; this Liberty Tana Lawn print is a perfect example of this with the whites, purples, greens and blues coming through to accentuate the premium hardware and enriched colour of the pieces. This collaboration comes just as the label announce their second shop, at 46 Monmouth Street, Seven Dials, London, WC2 that launches tomorrow will also be stocking a few other brands including Eye Respect, Oppermann London & Aark Collective. Really a one stop shop for Christmas – either for you or someone else but for now enjoy my highlights from the look book.